We use the information you provide about yourself when placing an order only to complete that order. Your details are not stored and we do not share this information with outside parties except and only when necessary to complete your order. We use the information you provide about someone else when placing an order only to ship the product and to confirm delivery. We do not share this information with outside parties except and only when necessary to complete your order. 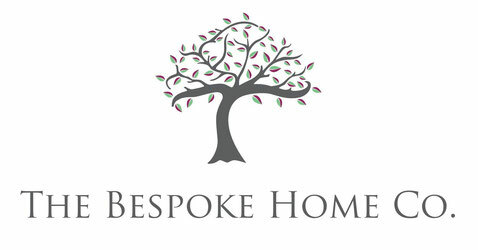 A deposit of at least 30% will be required on placing an order with The Bespoke Home Co. In some cases full payment may be required up front. The balance of the price quoted will be required on completion of the item - before delivery or pickup. At The Bespoke Home Co. we want you to be completely satisfied with the work we produce. If there is any problem with the product we will do our very best to rectify the issue including a full refund if necessary. Returns and refunds are only offered on stock items purchased through the website or in person, not on commission work. - You contact us within 14 days of receipt detailing the problem. - The item is returned to us in it’s original condition and packaged properly. - The return postage and packaging costs are covered by the customer. Once an order has been shipped and there is a delivery confirmation, The Bespoke Home Co. are no longer responsible for the item shipped. The Bespoke Home Co. are also not responsible for delivery to the wrong address. Customers are given the option of standard postage or fully insured postage. If the customer chooses not to pay for fully insured postage, The Bespoke Home Co. will not be responsible for theft or damage in transit. You must notify us within 14 days if order is not received. Due to the nature and cost of the items for sale, delivery will be by courier with contents cover insurance, usually with next day delivery from time of completion. Alternatively the items can be collected from the workshop if possible.